The concept of rebranding is an often-misunderstood one. It is mostly confused with the concepts of repositioning and brand revitalization. In many instances, rebranding is done with the ultimate aim of repositioning a brand, but equally it is a strategy adopted when a brand starts to become irrelevant or insignificant in the category. Rebranding is also a common consequence of mergers & acquisitions, when acquired brands are rebranded to fit into portfolio level brand architecture. An often ignored but significant element is the fact that any new form of master brand endorsement or co-branding is a form of rebranding too. 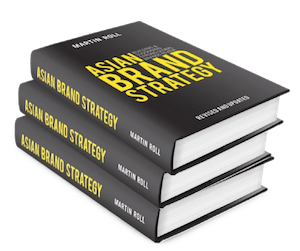 Rebranding as a strategic process requires a very in-depth understanding of a brand’s current strengths, weaknesses and its future outlook. With the guiding principle to “begin with the end in mind”, a rebranding strategy should assess the new brand’s fit into not only the existing architecture, but also into the one that will evolve. It is a matter of finding a cohesive bond between the brand’s evolution and the organization’s evolution over time. Rebranding is neither a fad, a tactical measure nor a short-term stop-gap arrangement to plug a weakness in the portfolio. It is a challenging, highly impactful and a strong influencer of a brand’s lifecycle and its direction, and rebranding should be given the C-suite attention and proper diligence it deserves. Branding and brands are most important than ever, and rebranding is an important strategy to maintain and increase long-term value.